Although each webinar in the series will be self-contained, it is highly recommended that participants register for all four as the presenters will refer to, and build upon, topics and examples from previous sessions. Traditionally, career development practitioners have focused on helping their clients to develop the necessary skills to find and keep employment. But until recently the other half of the employment equation – the employer – has gotten somewhat less attention. In recent years however, career services organizations across the country are starting to focus on employer engagement. This webinar series will help you to develop your skills as you develop your employer networks, which will have an impact on your clients’ successful outcomes! 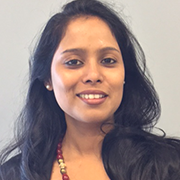 Amrita Hazra is a Certified Human Resource Professional candidate who is an Employment Liaison Worker with the Employment Solutions Society in Bridgewater, NS. Before coming to Canada, she spent 6 years as a member of the Faculty of Human Resources for a management college in India and then 7 years as an HR Professional for various corporate sectors with a major focus in recruitment, OH&S and in developing policies & procedures. She holds a Master’s in Business Administration specializing in Human Resources and a Bachelor’s in Science. She is fluent in several Asian-Indian languages. In her current position she works to help clients become job ready, and employer partners become more business efficient. 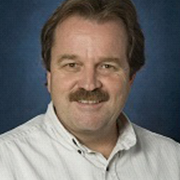 With beginnings in the medical profession in fields of Physiotherapy and as a Rehabilitation Educator, Jim Key, CCDP, transitioned into the Career Development field in 2000 where he held roles in Community Liaison, Community Development and Job Development in the delivery of Employment Programs and Services for people with disabilities. 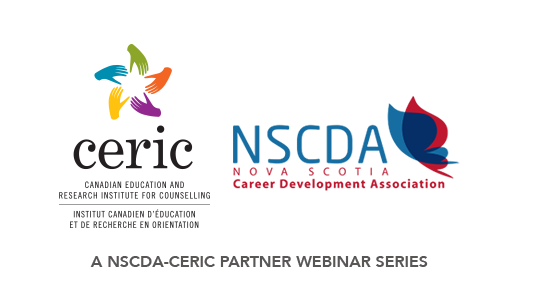 In 2007 Jim became involved in a blended career service centre and continued to work with employers and clients as a Career Development Practitioner/Job Development Coordinator. More recently with the transitional Service Delivery changes in Nova Scotia, he has moved into the role of Employer Engagement Specialist. Webinar #2 – Employer Engagement and Retention for Young Jobseekers: What Does It Take? Employers play a critical role in your employment service. Your ability to build strong, productive, long-term employer relationships provides opportunities for your youngest jobseekers who, despite their best efforts, are not able to land a job on their own. This may be because your jobseekers can’t win competitions against more qualified candidates or because employers perceive they just won’t “fit” and have negative perceptions about the “younger generation.” That’s where you come in: you are the bridge between young jobseekers and employers, from unemployment to employment. And while this webinar will be presented in the context of job development for youth with employment barriers, the concepts and skills are applicable to all client groups. 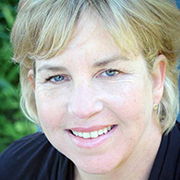 Angela Hoyt has over 28 years of experience in the employment service sector as a Job Developer, Director, and private practice consultant. Angela supports leaders and teams to engage employers and land jobs for jobseekers with employment barriers. Angela has her MA in Interdisciplinary Studies from Royal Roads University. Her thesis research aimed to define the characteristics of successful Job Developers. Persons with disabilities can face many barriers when seeking employment. However, the employer doesn’t have to be one of them. This session will give participants the tools to show employers that hiring persons with disabilities adds to work environments AND the bottom line. 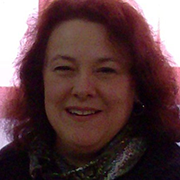 Kim Aker is the Executive Director of PeopleWorx in Nova Scotia’s Annapolis Valley. She has 35 years of experience promoting inclusion and quality of life for persons with disabilities, the last six providing leadership in a Career Resource Centre. 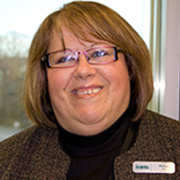 Kim holds a BA in Psychology from Carleton University, a Certificate in Disability Studies from Algonquin College and a Certificate in Employment Services from Dalhousie University. Using the Immigrant Services Association of Nova Scotia’s (ISANS) Labour Market Programs as a model, participants in this session will learn how to build strategic partnerships with employers and the community at large to increase diversity in the workplace and help immigrants and newcomers in building a stronger workforce and community. Mohja Alia joined the employment team at Immigrant Services Association of Nova Scotia (ISANS) in 1997. Since then, she has held a number of positions including employment counselling, team lead, and for the past five years has been the manager of the Employment and Bridging Team. Mohja’s role at ISANS includes managing a wide range of services and programs including employment counselling, profession-specific bridging programs, pre-arrival employment services, and bridge-to-work programs. 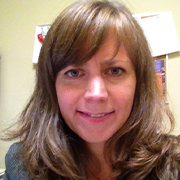 Anna McBeth is the Employment Specialist Team Lead at ISANS. Over the last 12 years Anna has been actively developing contacts with employers in order to support new Canadians in their job search in Nova Scotia. Her passion for job development and talent retention in the province has resulted in hundreds of newcomers securing meaningful work placements. In 2014 Anna was one of the first employment specialists who completed Career Development Practitioner Certification. She draws experience from a diverse educational background starting with a BA and Master’s of Education from the National Pedagogical University, Kharkiv, Ukraine. She also has a wealth of experience from China where she obtained a certificate in Mandarin as well as practical teaching experience.